Consider the benefits of advertising on the Radio. Radio advertising is a great way to get your message heard and it is probably more cost effective than you think. As a Radio station we have a large social media reach and our website enjoys a high hitrate. So advertising with us can really get you out there. You Supply an advert of 1 minute or less and we will run it at a cost of £50.00 Per Month with minimum 15 Plays per day. Don’t have an advert? No problem, we will make one for you up to a minute long and to your specification for £25.00 all in. Events Advertising – On our events section – Full Page advert £15 per month. Events can be advertised on our homepage Slider £30 per month. 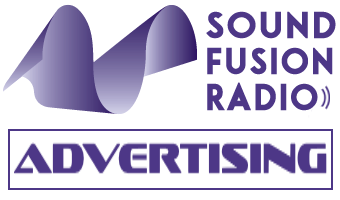 If you wish to sponsor a show on Sound Fusion Radio please contact us on 07730 889898 rates start at £50 per month. All Packages are subject to at least 1 month commitment payable in advance. One month means per calendar month. If you have something in mind that you don’t see listed here do not hesitate to contact us we are approachable and happy to help. The no 07730 889898.